Gloucester’s impressive, historic docks are the backdrop to a very Victorian Christmas shopping experience. As well as an authentic Victorian market you will find a choir, street entertainers, colourful historic characters and plenty of festive food and drink. Gloucester Waterways Museum, at the heart of the Victorian market, will be running an authentic Victorian tearooms during the event and keeping the museum shop open for Christmas shoppers to stock up on seasonal gifts for children and adults alike. Don’t miss your chance to see Santa! He’ll be visiting Chesterfield Canal this Christmas. Watch out people of Chesterfield….Santa Cruise is coming to town. A present for every child, a mince pie and drink for every adult. £6 per person. Places are filling up quickly, so don’t delay in booking! For times, ring or email each location contact for more details. Our tripboat, John Varley, will be doing Santa Special trips every Saturday and Sunday from 22 November to 21 December. All leave from Tapton Lock on the A61 at the Tesco roundabout, S41 7JB. For bookings, ring 01629 533020. Our tripboat, Seth Ellis, will be doing Santa Special trips every Saturday and Sunday from 29 November to 21 December and on Monday 22, Tuesday 23 and Wednesday 24 December. All leave from the Hop Pole on the A620, Welham Road, DN22 6UG. There is plenty of car parking or catch buses 95, 96 or 97. For bookings, ring 07925 851569 or email sethellis@chesterfield-canal-trust.org.uk . Our tripboat, Hugh Henshall, will be doing Santa Special trips on Saturday 6 and Sunday 7 December from the Lock Keeper pub off the Sainsbury’s roundabout on the Worksop ring road, S80 1TJ . For bookings, ring 01246 477569 or email hughhenshall@chesterfield-canal-trust.org.uk . Our tripboat, Hugh Henshall, will be doing Santa Special trips on Saturdays 13 and 20 and Sundays 14 and 21 December from Laura’s Coffee Shop at Shireoaks, S81 8LP. Our tripboat, John Varley, will be doing Santa Special trips on Monday 22, Tuesday 23 and Wednesday 24 December. All leave from Hollingwood Hub on Works Road, S43 2JP. On Saturday 15 November the Trust’s ecologist Stuart Collins will be holding a free ‘Birding for Beginners’ course teaching people how to identify different species of bird. The course is aimed at showing birdwatchers what to look out for through the changing seasons. On Sunday the Trust’s ‘Explorers’ education team will be teaching families how to make simple feeders helping birds through the winter months. The team will also be leading some fun bird-spotting activities and helping families to collect leaves which they can use to create special Autumn crowns. The ‘Explorers’ programme is aimed at teaching kids all about the history and wildlife of their local canals as well as how to enjoy them safely. The event is run by volunteers and is part of a monthly programme of things to do at Fradley Junction. More information The Birding for Beginners course takes place from 9:00 on Saturday 15 November. For more details or to book a place contact Stuart Collins on 07879 884 802 or stuart.collins@canalrivertrust.org.uk. Spaces are limited and will be allocated on a first come first served basis. The ‘Explorers’ activities take place between 11:00 and 14:00 on Sunday 16 November. 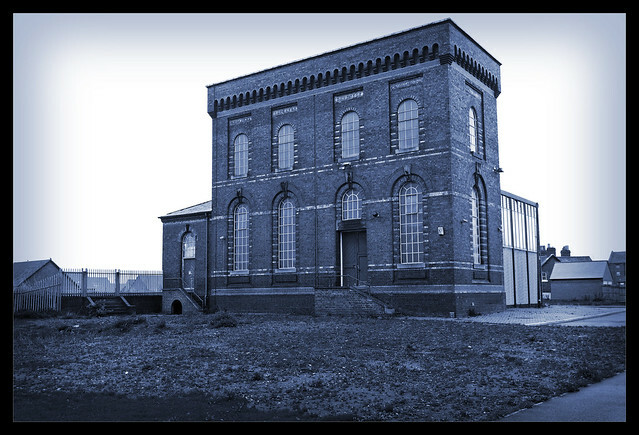 Sandfields Pumping Station – All hands to the pump! This is a remarkable, severe but beautiful building, now almost marooned in a sea of new development. Image from Dave Moore’s Flickr photo stream. It’s really getting busy for top local history wonks Dave Moore, Chris Pattison and their Freinds of Sandfields Pumping Station campaign group, who seem to be really getting somewhere with this fantastic Victorian edifice; not only has their attention prompted the fixing of the roof recently, but the listing status of the building is now under review too. If you’d like to have a great morning out this Saturday (25th October 2014), the group are taking part in the Arts and Heritage procession through Lichfield taking place that morning from 10:30am. They’ll also have a manned stall in the Guildhall until 4pm where they’ll be talking to the public and explaining why this excellent and well-fought campaign is so important. Find a unique christmas gift at Middlewich’s floating market this year – and why not enjoy some great food and drink as well? Middlewich are playing host to an annual beer festival, artisan market and a floating market! What better way to spend a weekend than finding yourself in the hub of delicious food, a beer festival and market packed full of hidden treasures and unique gifts. Middlewich is a fantastic historic canal town, come and enjoy it in the autumn air. More information about the beer festival can be found here. The event will bring to life the key role that the canals, waterways and ports played during the days of the Second World War. Re-enactors will recreate scenes and activities of events that would have taken place during the wartime period with original and reproduction equipment and vehicles. Visitors can expect to see a variety of allied military personnel, as they transit through the port, civilians and civil defence workers, home guard, land army and many others. Alongside this, entertainment will be provided throughout the day by renowned singers, Paul and Natasha Harper, together with 40’s DJs, Cotton Town Hot Club. The entertainment will continue into the evening with a WWII Victory Party. Come and have a fun time with the family at Fradley Junction. Free children’s activities in the scenic canalside setting of Fradley Junction. The event/activities are run by CRT Education Volunteers and are part of a monthly events programme at Fradley Junction. This lively group meets the third Sunday of the month (with the odd exception) on the first floor of the Island Warehouse, to demonstrate the traditional crafts of the inland waterways. Crafts demonstrated include boatman’s belt embroidery, bonnet making, cabin crochet, canal ware painting, rag rugging and patchwork. We’re inviting local people living in and around Gailey in Cannock to help give the Staffordshire & Worcestershire Canal a much-needed tidy. The next clean-up is planned for Thursday 23 October from 10am – 3pm and people of all ages and abilities are invited to lend a hand to spruce up their local waterway. All equipment will be provided and volunteers should wear old clothes that they don’t mind getting a bit muddy. The work is part of our Towpath Taskforce volunteering project, which encourages people to come out, get their hands dirty and help protect some of Staffordshire’s most important wildlife habitats and public open space. The Taskforce provides regular volunteering opportunities for local communities which, as well as benefitting our canals and rivers also create memorable and rewarding experiences for everyone who takes part. The teams meet regularly and are aimed at encouraging more community ownership of and pride in local waterways. Projects include painting lock gates, improving access to the towpath, clearing overgrown vegetation, cleaning up litter and graffiti and helping wildlife by building nest and bat boxes and planting reed beds. Meeting point is at the Trust’s car park next to the roundhouse, Croft Lane, just off the A5, Gailey, Staffordshire, ST19 5PR. A remarkable, and beautifully scanned image from Ruth Penrhyn-Lowe. Click for a full-size version. This… is remarkable. I’m just going to leave it here for those among us interested in Chasewater, and the arrangements with the steam pump that used to return water from Anglesey Basin into the reservoir. There has been a lot of debate about this subject in the past, and courtesy of reader and contributor Ruth Penrhyn-Lowe, we have the clearest scan ever of a remarkable postcard, which gives far more detail than previously seen. She kindly sent a whole bunch of new cards, which I’ll feature later today, but this one, in light of previous debate, is very special and deserves attention. Background can be found in this article, and this one too. Readers may also like to gen up by reading this exploration as well. The Grantham Canal Society are proud to present Discovery Day, at Woolsthorpe. Head down to the Grantham Canal on Sunday 12th October for a fun-packed day. Located at Woolsthorpe by Belvoir Carpenters Shop (behind the Ruland Arms Pub). • Graham Wright, our MC for the day. There will also be refreshments, cake stalls, tombola, raffle and short talks. It’s also free – all proceeds towards the maintenance and restoration of the Grantham Canal. Will you find a hidden treasure at the jumble sale at Hollingwood Hub this weekend? Three day festival of beer, banter and boats. The National Waterways Museum annual beer festival, organised in conjunction with Liverpool Organic Brewery, will run from Friday 10th October to Sunday 12th October 2014. Throughout the weekend a range of beers from breweries across the country will be available; from Cornwall’s Keltek through to Middlesborough’s Truefitt including creatively named beers from the Potbelly Brewery in Northampton who will be supplying ‘Captain Pigwash’ and ‘Pigs Do Fly’! Tickets are £10 in exchange for £10 worth of beer vouchers and are available in advance or on the day. The Museum has good public transport links, being only a few minutes’ walk from the railway station and for groups who have organised a designated driver the museum is just off junction 9 of the M53. Moorings for the weekend are available – please contact the museum direct on 0151 355 5017. Walking by Canal – looks more like jogging to me! Ever wanted to know more about the Oxford Canal Trail? Join us on Sunday 12 October at Wolvercote Green for a short presentation by the Oxford Canal Heritage project team. To see the city’s historic canal past, take the 5k heritage trail, there are a variety of places to stop along the way, including pubs, shops and gardens; more notably you will come across Hythe Bridge, Isis Lock, Ball’s Bridge, Walton Well Bridge and many more. There is an audio guide also available, please ask somebody from the heritage team for more information. You can park in the Pear Tree Park and Ride and walk to Ball’s Bridge. You can also get the bus to Woodstock Road, cross the road to First Turn, following the road to Wolvercote Green. If you don’t mind paying, feel free (!) to park in Worcester Street, Oxford for an even closer space. Do you know how many bat species we have in the UK? Come along and find out how to spot these amazing mammals. Bats will be travelling to their winter roosts soon so this is your last chance this year to join us and discover bats along the Staffordshire & Worcestershire Canal. You’ll get the chance to find out all about bats and which bats live in your area, you’ll also be provided with detectors to assist your bat-spotting! Bats are mysterious creatures with their night time expeditions – did you know they have also discovered the secret to cheating the ageing process!? British bats are entirely harmless so don’t be shy, wrap up warm and wear suitable shoes for walking. So we can manage numbers, please contact us to let us know you’re coming. Please email Paul Wilkinson. 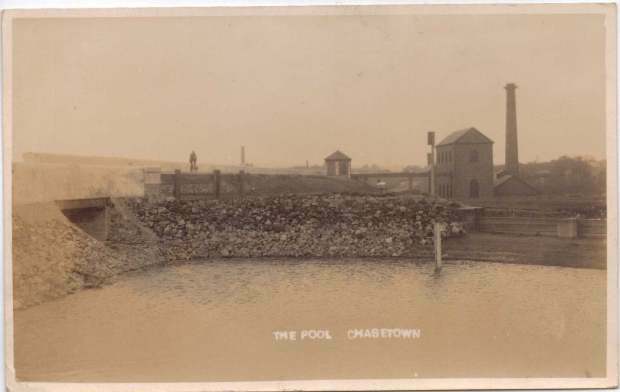 On 4 and 5 October Bugsworth Basin Heritage Trust are hosting a then and now display. Come and give you support to Bugsworth Basin Heritage Trust by joining the team at Buxworth Primary School where from 10 til 4 and as part of the Buxworth Steam Party Weekend, you’ll be able to see some before and after restoration work of the Bugsworth Canal Basin. If you are interested in attending or would like to volunteer your services please contact Mark Lomas here. Boat trips, crafts, demonstrations and musical entertainment promise to make Banbury Canal Day go with a swing. The Mill Arts centre will be opening its doors for a day of entertainment, food and drink, and a free folk concert will be held by General Foods Garden adjacent to the towpath. Boat trips will be taking plave from Sovereign Wharf, with barrel organs entertaining those waiting to board. Don’t forget to stop by Tooley’s historic boatyard for a display of engines and boats, with a chance to watch a blacksmith at work. As well as all of the above, Banbury Canal Day offers falconry, fairground rides and enough food and drink outlets to keep hunger firmly at bay. The Oxford Canal is a 78-mile-long (126 km) narrow canal linking Oxford with Coventry via Banbury and Rugby. It connects with the River Thames at Oxford, to the Grand Union Canal at the villages of Braunston and Napton-on-the-Hill, and to the Coventry Canal at Hawkesbury Junction in Bedworth just north of Coventry. The canal was once an important artery of trade between the English Midlands and London, and is now highly popular among pleasure boaters.